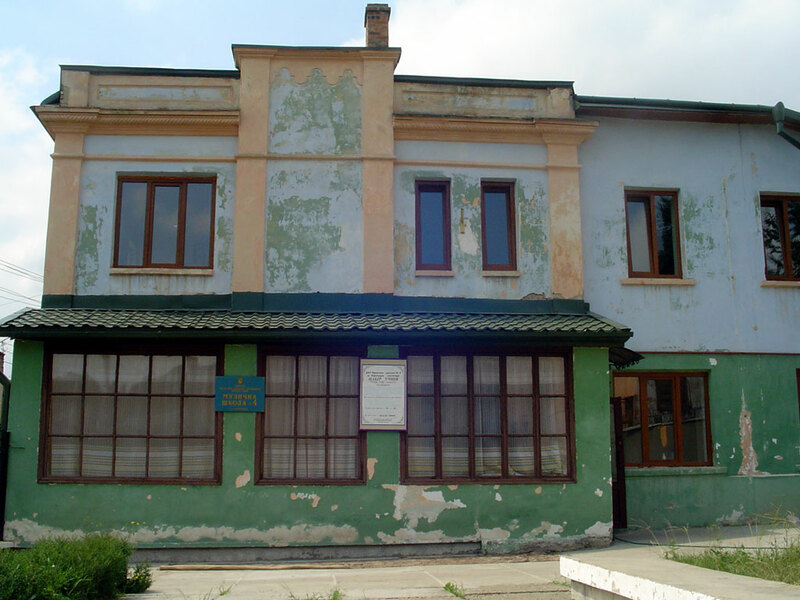 The Chabad community of Czernowitz (today’s Chernivtsi) has compiled an impressive list of Jewish related sites in the city and published it. Using this list, I was strolling through the streets of the city in August 2012. Often these traces can only be suspected, but sometimes they are also obvious. From the former 60 synagogues and prayer houses many are still there. Many testimonies of Jewish life in Czernowitz are familiar: the Temple, the Jewish cemetery, the Groisse Shil (Great Synagogue). They are found in maps for tourists and in guidebooks today. That’s a good thing, an unmistakable progress. But: some 60 synagogues and prayer houses have been in Czernowitz once, far more than any guidebook suggests. Reason enough for a search for clues in the backyards and city streets. My search begins in the city center. 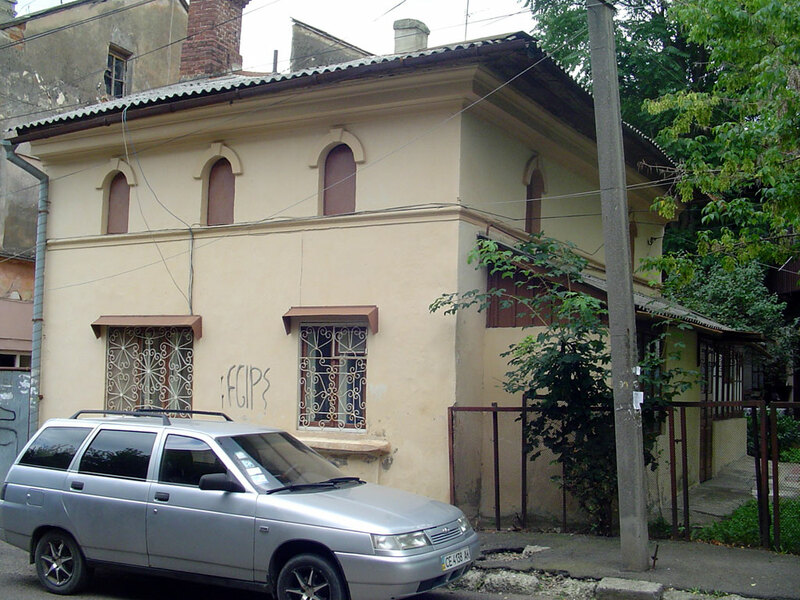 In Zankovetska Street 8, the former Karolinengasse, not far from the Great Temple, and in the immediate vicinity of the house of the former mayor Traian Popovici, there should be of a former synagogue of the Rabbi of Sadagora in a backyard. I’m lucky, the armored door is open and I can slip in. In the backyard there is a gray building. Obviously it underwent profound structural changes. The windows indicate that a room with a high ceiling was once in the basement. The second floor looks as if it was added later. Hard to say whether it is actually a former synagogue. Someone who remembers the building in its original state, would be needed. Further north of the Philharmonic Square even several former synagogues should be. But finding one of them in Ivan Bogun Street turns out to be disappointing. My search is successful in Pereyaslvavkaya Street. The synagogue Beyt Meir can be discovered easily. 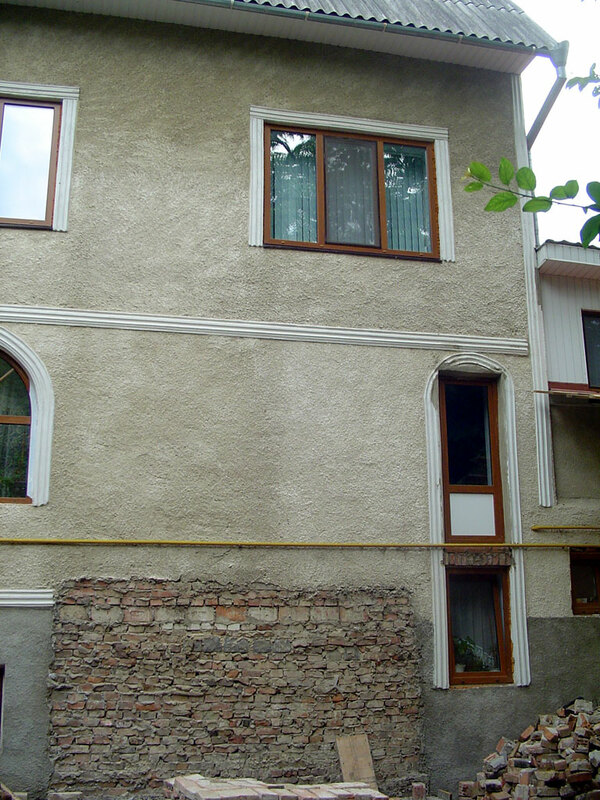 The building is now an ordinary house, but the original purpose can be read clearly in the architecture. The southern districts of Chernivtsi are unfamiliar to me. In the vicinity of the “Herz Jesu Kirche” (Sacred Heart Church), recently given back to the Catholic community, sould be four synagogues. But locating them is difficult. Either the information on the map of the Chabad is wrong or the present system of house numbers is strongly deviating from the old system. It is also possible that the interventions in the structural substance are so strong that recognizing the original purpose of a building is impossible. At least in one case I am successful. A music school in Panasa Mirnogo Street, the former Kluggasse proves to be unmistakably a former synagogue. This place of worship was named after its founders, Aaron and Frida Goldfrucht. Some is gone in Chernivtsi, much is still there. The voices of architectural remains have become quieter, but they are still audible. The former synagogues have been abused and mutilated but they are there and visible. If you listen they talk. 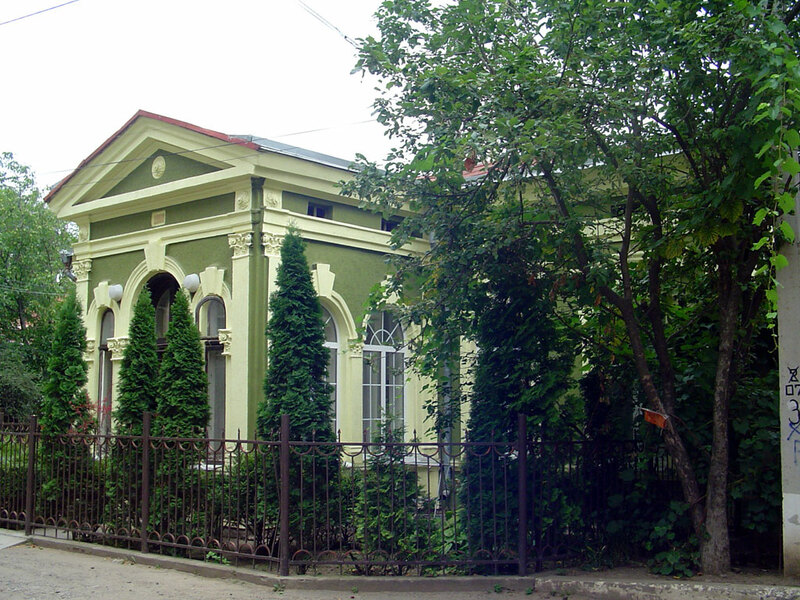 This entry was tagged Chernivtsi (Czernowitz), Synagogue. Bookmark the permalink. This is wonderful, and beautifully written, especially the next to last paragraph. Thanks for doing this work. Excellent Christian — thank you! can i please have the addresses of the synagogues in chernivitsi.my father was from there.